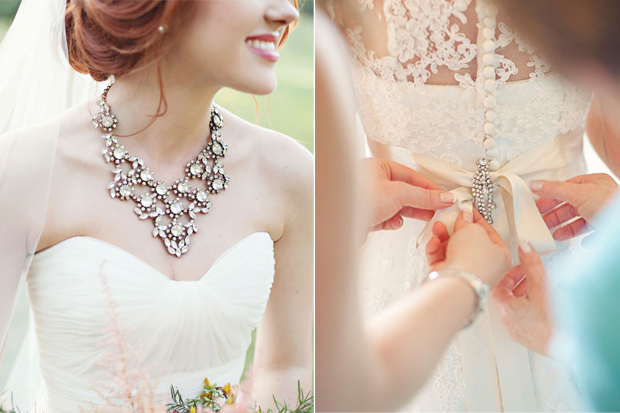 Looking to add a little extra sparkle to your bridal look? 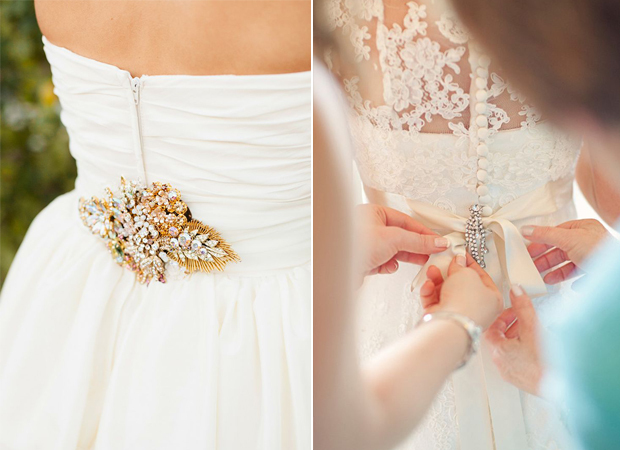 From fabulous nails to statement jewels and and the prettiest sashes for your wedding dress and bridal bouquet, here’s 10 ways to add some sparkle to your wedding ensemble! 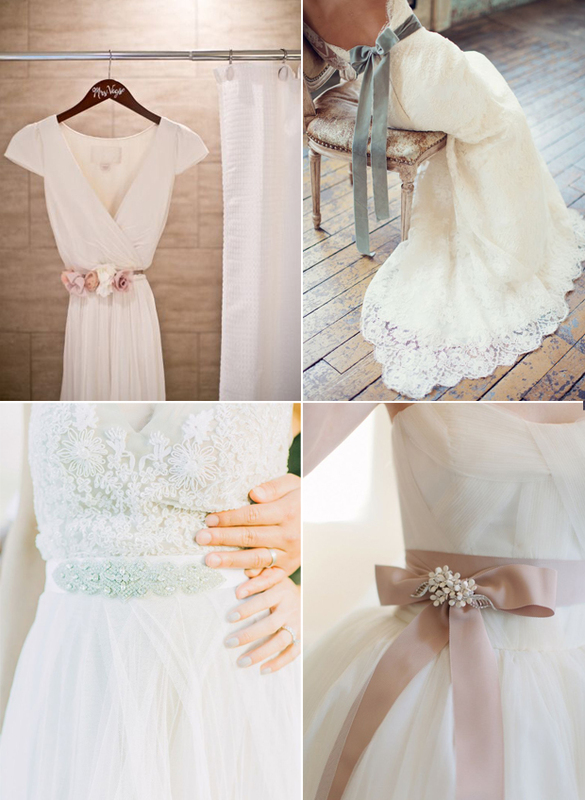 There are so many options when it comes to choosing a sash of bridal belt from pretty tulles, floral sashes, striking diamante belt or a striking piece of fabric (we love the blue velvet bow above) tied in a big bow. A great way to introduce colour, cinch in the waist or add some sparkle, be sure to check out Very Engaging Designs and Jules Bridal Jewellery for some seriously pretty options. 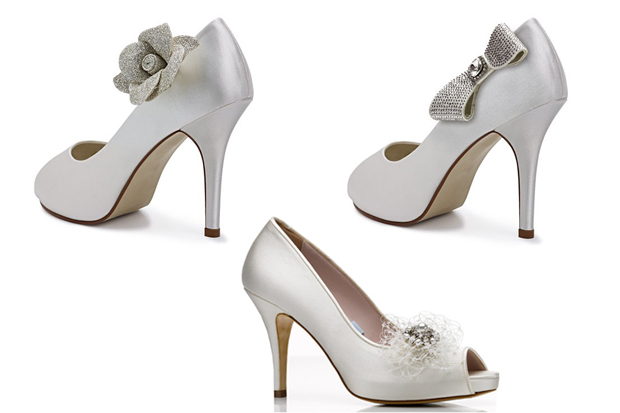 If you’re having difficulty finding a pair of wedding shoes, you can always opt to pick up a plain pair of ivory or coloured heels and add one of these thrifty shoe clips to make them that little bit special. Check out Rainbow Club and Harriet Wilde for these gorgeous styles or check out this fab pom pom shoes clip tutorial we came across over on Bridal Musings. If you want something a little more glamorous than a tie for your bouquet, think beautiful and oh-so-striking brooch bouquets. 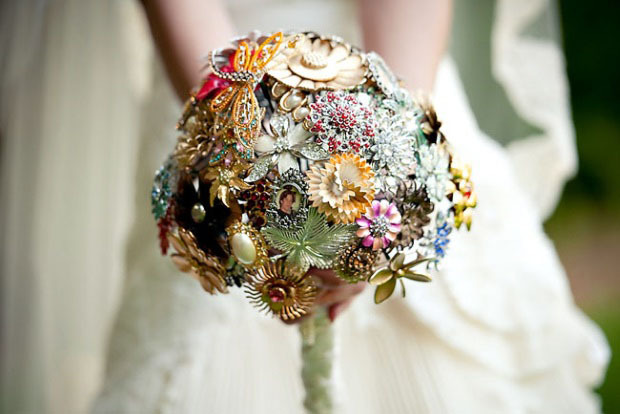 Brooch bouquets also give you scope to work in family heirloom brooches that mean something to you and you can add as much or as little colour as you please. They can be passed down to family members or kids or propped somewhere special as a keepsake so you can admire it long after the day has been and gone. For suppliers, check out our list of Brooch bouquet makers in Ireland in the weddingsonline directory. If you like your sparkle in polish form, coat your nails in something shimmery for your Big Day. Your hands will play an important part on the day what with the new addition to your ring finger, so if you’re looking for a fun alternative to a French manicure, some sequinned tips, silver stripes or shimmering polish will ensure they look extra special. 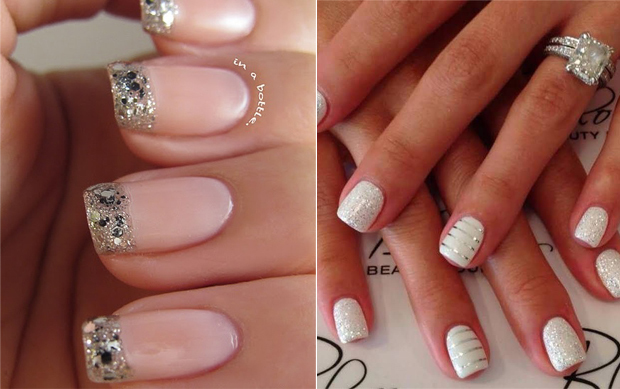 For more gorgeous ideas, be sure to check out our article 30 Bridal Nail Styles! 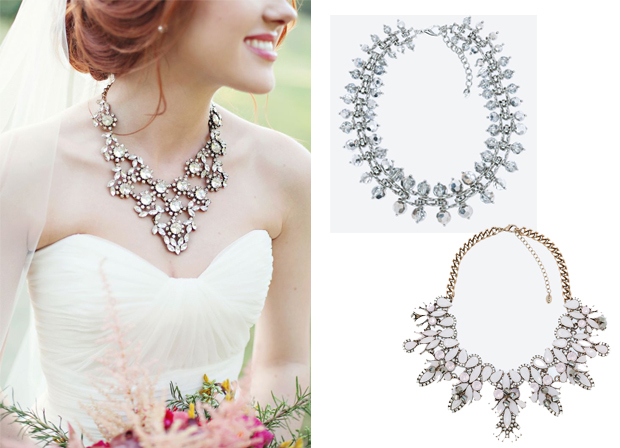 We love this fun bridal trend, perfect for contemporary brides looking for some serious sparkle. A statement necklace is the perfect way to accessorise a simple high neckline or strapless dress and also bring a burst of colour for those looking to give their dress a modern edge. You can opt for everything from crystal embellished pieces to fun and inspiring beaded designs – the highstreet is teeming with gorgeous options including this crystal necklace from Zara (top right) and this rhinestone necklace, also from Zara (bottom right). Nothing completes a stunning updo better than a pair of beautiful earrings – a chic way to accessorise your wedding dress and incorporate some much loved sparkle. 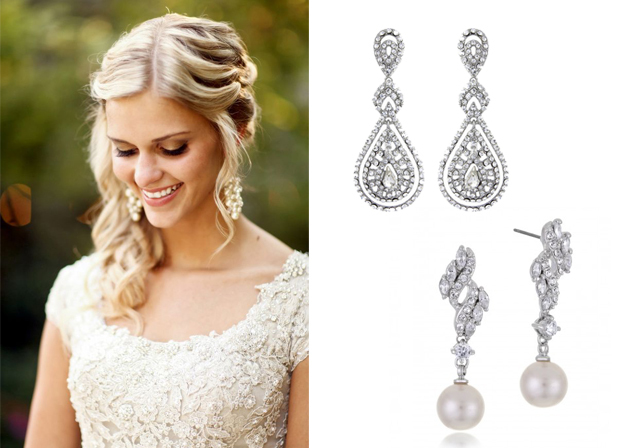 We love these decadent Savoy Romantic Chandelier Earrings from Jules Bridal Jewellery or for those that have a soft spot for pearls, these Kaya Pearl Drop Earrings from Azure Jewellery will make a beautiful and timeless addition to your jewellery box. For more places to shop gorgeous earrings, be sure to check out our jewellery and accessories suppliers in the weddingsonline directory! If you’re looking for a practical and chic alternative to a bridal bouquet, or just somewhere to pop your lippy and a hankie, think a chic clutch. 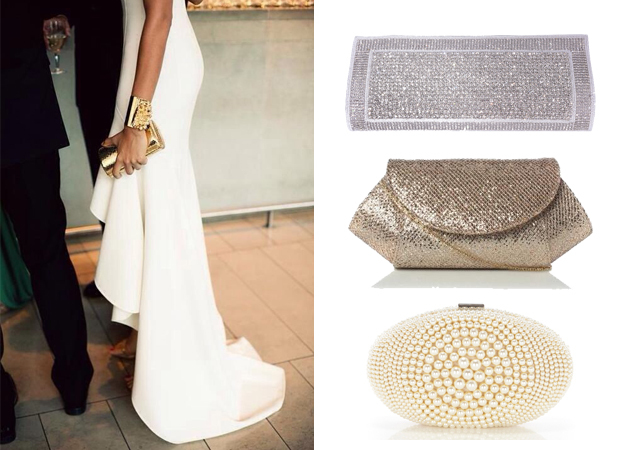 We’ve our eye on this Louisa clutch with diamante finish from The Parisian Bride (top right), this pretty gold clutch by Roland Cartier from Dune (middle) and this timeless pearl piece from Coast (bottom right). And the beauty of investing in a clutch is that you’ll definitely get the wear out of it, teaming it with many party outfit post wedding too. 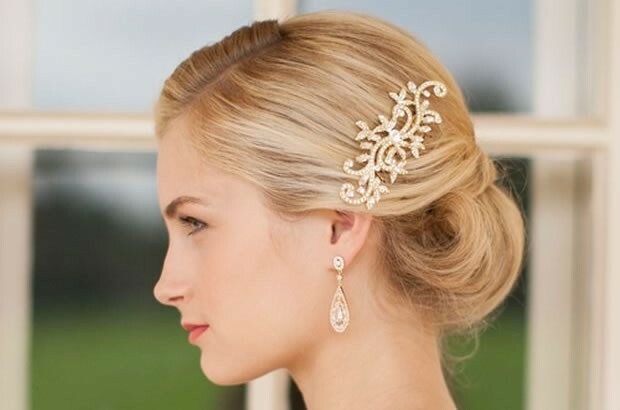 We love our hair accessories here in weddingsonline and they’re a quick and easy way to add a little extra glitz to your styles and overall look. This pretty piece is from Erin Bijoux but there are lots of fabulously talented Irish designers crafting beautiful slides, bands and pieces to pretty up your hair. 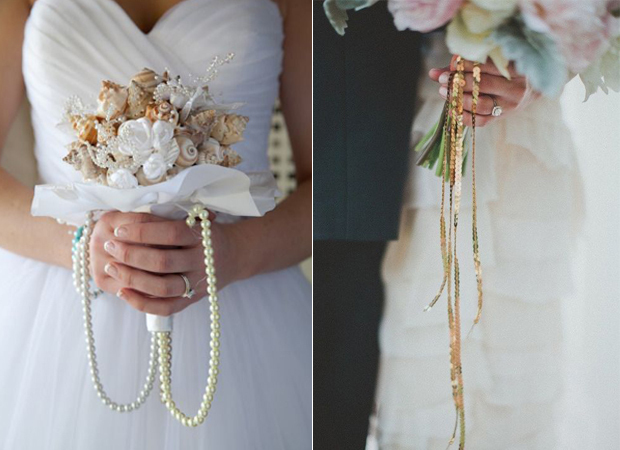 Browse our accessories suppliers in the weddingsonline directory! We love cosy cover-up time especially when they’re of the sequinned variety! 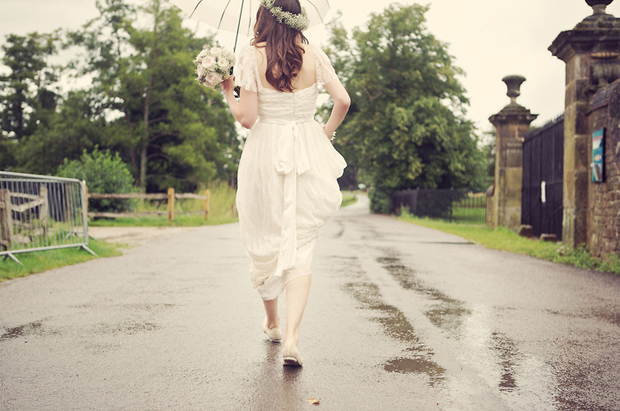 Give your wedding guna a glitzy, modern edge by keeping cosy in something sequinned and pretty. We love the gold jacket from Zara or if you’re after something sparkly and silver, you can pick up this silver jacket from The Vestry.